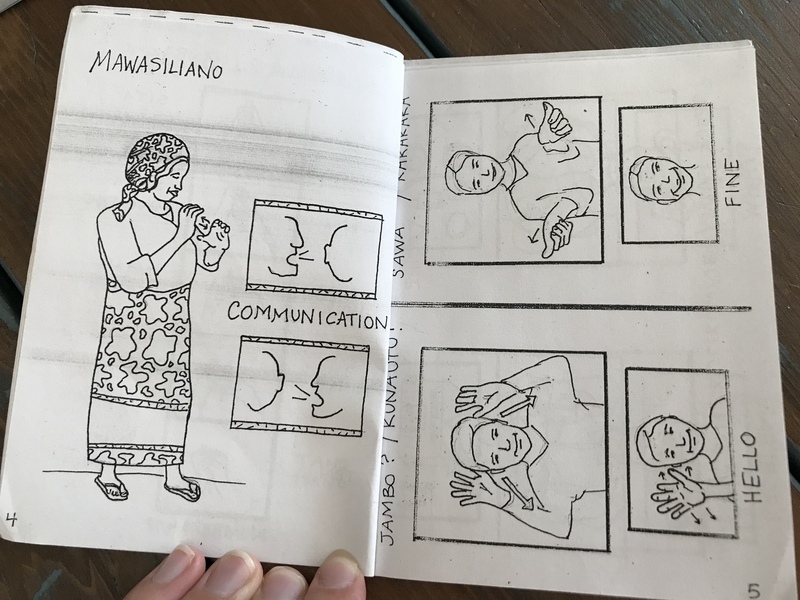 In 2011, for the first time in Kilifi County, Kenya, parents of hearing-impaired children were saying, “I want to communicate with my child.” Julia Spruance’s 100 Signs for Parents in Kenya Sign-Language was their introduction. A few weeks after graduating from Gordon with a degree in art and recreation, sport and wellness, Spruance ’11 was in Kenya interning with Kupenda, a nonprofit organization working to improve the lives of children with disabilities, in part by shattering an age-old stigma about them. In Kilifi County and many of the communities within eyeshot of the iconic Mt. 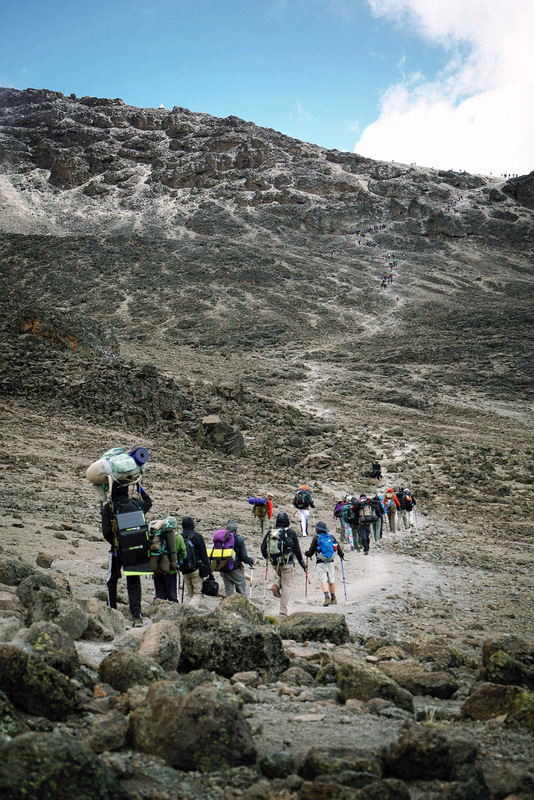 Kilimanjaro, disabilities are believed to be evidence of God’s wrath and disapproval. As such, it’s not uncommon for children with disabilities—ranging from autism to cerebral palsy—to be hidden, abandoned or killed by members of their own family, says Spruance. Yet, through Kupenda and volunteers like Spruance, perceptions about disabilities were and are changing. Local families are starting to see that children with disabilities are capable of extraordinary things, likelearning new languages, excelling in academics and performing on sports teams and in plays—each of which puts a sizeable crack in this thousands-year-old stigma, with the promise of, one day, turning it to rubble. Spruance’s 100 sign language illustrations were one side of the chisel—bringing parents and children together over simple words like thirsty, hungry and hello. But, this was only a precursor to stigma-shattering on a much larger scale: 19,341 feet larger, to be exact. In 2015, four years after Spruance illustrated 100 Signs for Parents in Kenya Sign-Language, Kupenda had another proposition for her: Would she return to Kenya? And this time, would she lead three disabled teenagers to the top of Mt. Kilimanjaro, the highest mountain in Africa and highest freestanding mountain in the world—a mountain where only 50 percent of climbers actually reach the summit? To Kupenda, Spruance was the natural candidate. As a program director for Waypoint Adventure, she had been running adventure education programs for people with disabilities in the Boston area. She knew how to lead individuals with disabilities through physically-demanding challenges, such as kayaking and rock climbing. Even still, this was asking a lot. Climbing Mt. Kilimanjaro with these teenagers would require that they all endure eight days of mostly sub-zero temperatures, daily elevation gains between 1,000 and 4,000 feet, sleet storms, sunburns, severely chapped lips and the real possibility of altitude sickness and injury. Not only did the teenage climbers have little to no idea of what to expect of their journey up the mountain, they had to work through the challenges their unique disabilities brought—including the impact on their physical and emotional stamina and their ability to be understood by fellow climbers when things went wrong. The Kilimanjaro trip would involve 19-year-old Fumo: an athletic boy with style, a stutter and an undiagnosed intellectual disability; 16-year-old Hassan: a quiet, sensitive boy who was deaf; and 16-year-old Mercyline: a rambunctious, spirited girl with cerebral palsy and a wide swinging gait. Joining the 3 teenage climbers and Spruance would be 10 American sponsors (among them her husband, Joel Spruance ’10, and fellow alumna Becky Dowling ’05), a mountain guide, a team of 8 Tanzanian porters (who would help carry climbing gear, cook meals and set up camp), and a documentary crew under the directorship of Phillip Knowlton. Finally, in January of 2016, this motley crew embarked on their journey to the top of Mt. 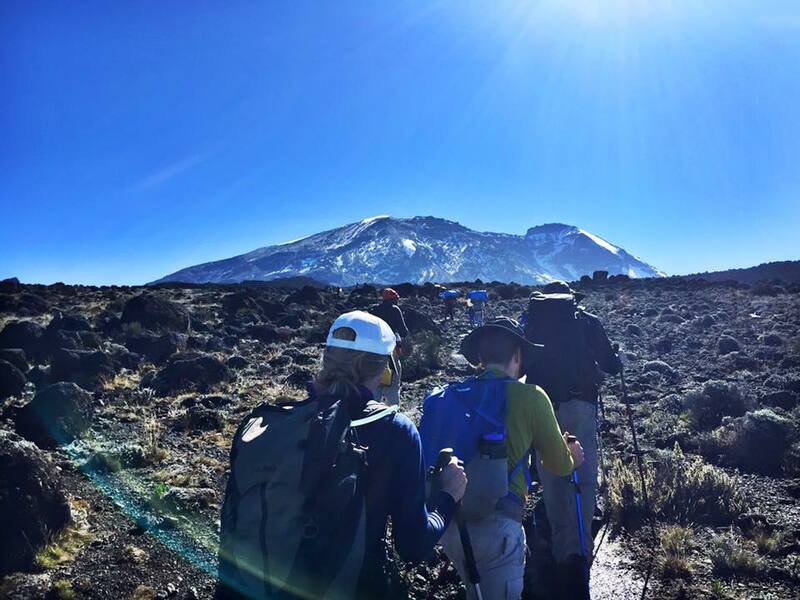 Kilimanjaro to prove not only that, in Spruance’s words, “people with disabilities are capable of remarkable things,” but that they too—like the very able-bodied climbers who summit Mt. Kilimanjaro every year—are blessed by God. Spruance shared the full story last winter as a part of TEDx Natick. To find out what happened to teenage climbers Fumo, Hassan and Mercyline, watch Spruance’s TEDx Talk titled “High Expectations,”which is now stream-able on YouTube. Spruance still runs adventure programs as a program director for Waypoint Adventure. In addition to taking ASL classes with her husband, Spruance keeps in touch with Fumo, Hassan and Mercyline, who are helping her plan the next Kilimanjaro trip. Recently, Phillip Knowlton and his film crew entered the documentary into the Sundance Film Festival. Stay tuned for the official release date.